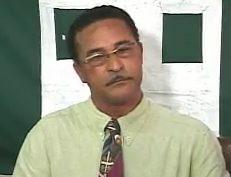 Terrence Forrester, Public Relations Officer of the New National Party has apologised for what he described as “making an insensitive and irresponsible statement” during a live radio interview last Sunday. “We the members of the NNP are not a party of lazygunya,” he told George Grant during the programme, as they spoke about the party’s General Council and 30th anniversary. When pressed to clarify the meaning of lazygunya, Forrester said that it is the term used to describe people who are pretending to be infected with the Chikungunya virus (Chic V). Elaborating further, Forrester said that such behaviour among workers leads to low productivity as people are submitting sick leaves for between 7 and 14 days. However, on Wednesday morning Forrester called the popular “Plea your cause programme” and told the announcer that he wishes to issue an apology for statements he made while being interviewed last Sunday. “What was said on my part was quite insensitive. I apologise for being insensitive to those who are suffering from the Chic V. What I said was very inappropriate and irresponsible,” he said, pointing out that there is evidence to indicate that a number of workers are abusing the current situation, in which numerous workers are becoming infected with the Chic V.
On Monday morning, callers to the programme condemned Forrester for his statement, with some demanding that he apologise for his statement. Though he apologised, Forrester is adamant that there are some who claiming to be infected and are not, abusing the privilege provided to workers to remain off the job for 2 days and then submit a sick leave. “Can you imagine there are some workers just staying off the job for 14 days, and they are not infected? This is not good for productivity,” he added.